To our web based XR editor!!! We are nearing the end of our ICO. We want to talk about some of the ways we've succeeded and some of the ways we've failed. We have executed our roadmap to include codeless methods for developing XR content and the lowest barrier to entry dynamic hosting platform the world over. We've received no correspondence legal or otherwise to cease our activities. We're continuing to push our technology in to more places and proving the value thereof. I believe we beat Decentraland to XR initiated block chain transactions. Operating an ICO from an uncensorable VR wrapper built with our own technology. We've currently raised less than $2K from our open auction. We've sold ourselves out of any meaningful stake for less than it costs to keep our lights on. This particular failure has largely nullified the decentralized nature and network possibilities of this nascent platform. ie, We're not decentralized enough to succeed with our tokenomics. 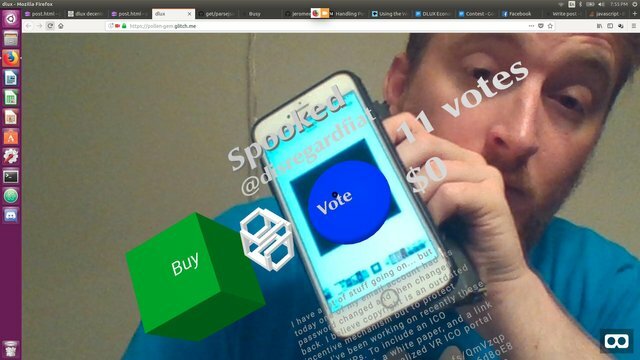 We will be returning upon request any Steem donated to us. This may take some time as our stake is mostly powered up. Current stake purchased will be reduced by 100x. Meaning if you had acquired 10% of dlux you will now have 0.1%... except with no financial exposure. 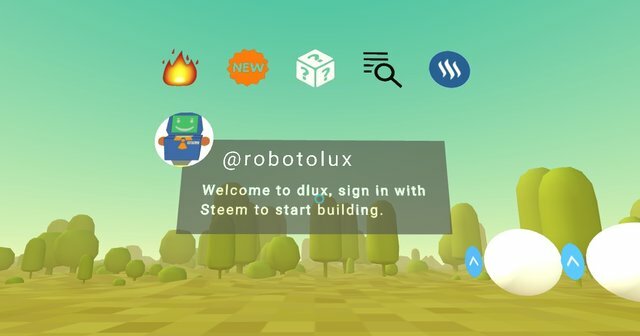 We will be exchanging steem for dlux at a fixed rate to build a marketing and operating budget. Upon completion of that sale we will be reengaging our daily micro offerings in a further attempt to distribute our tokens widely. We are hoping that the community at large is more willing to help us plan and achieve goals. If you'd like to keep your donation with us we will issue fixed price tokens instead of a refund out of this pool. Basically create an erc20 token say 10000 and back it with 10000 Dlux tokens. These are great options. Part of the fun of using our own side chain is that it can do anything... We are very open to ways to market. Great options for the project as the potential of the technology should not be limited to the lack of capital when other alternatives exist. I wish the project success! Hey guys, thank you fo the update. I would like you to keep my donation as well. Keep moving forward and dont give up. I still believe in this project and would like to hold on to my dlux tokens despite it being cut down by 100x. Feel free to move forward with what you guys think best to bring this project to get funded for its development. I really dont like to promise because if i cant make my promise i am the bad guy. But i am waiting for some amount to power up hope next week. If it happen i will try to delegate to you. Maybe not too much but every little matters. What does that exactly mean for investors? Did our stake become worhrtess with the cut off 100x ? Part of this is the discussion of the best ways to price these assets. Our very unequal distribution here would impede progress that could otherwise just be had. If you would like your donations back, feel free to request. Your holdings will go from 301233.993 (0.3%) to 3012.339 (0.003%) DLUX either way (If you delegate then this will be a little different) . 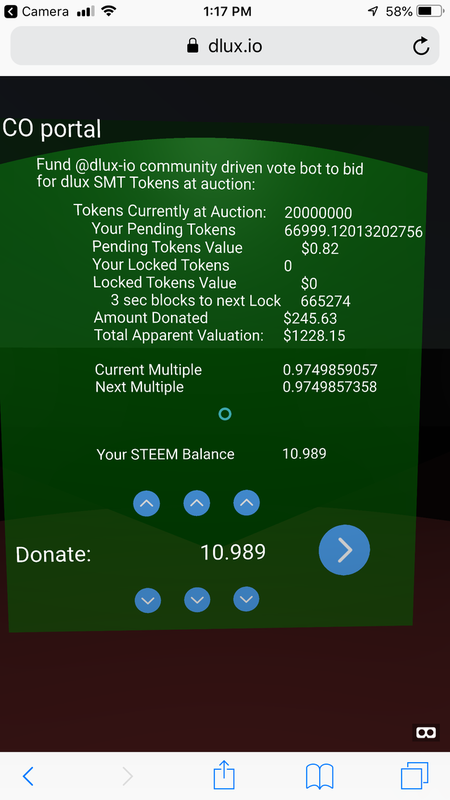 If you don't receive your steem back we'll issue addition tokens at the fixed rate price to build up a marketing budget to increase the value of DLUX in total. Depending on how this actually shakes out you may be holding more actual value, with no financial risk... and therefore not an investment. We also wish our hands weren't as tied as they are, but we'll do what we can to get this infrastructure to the world at large. Thank you for bearing with us as we attempt to make the best possible decisions. Thank you for curating the community so well! If you'd like to keep your donation with us we will issue fixed price tokens instead of a refund out of this pool. Wow, looking really nice dlux! Really excited about this project. In my opinion, one of the most under talked about apps on the chain. Our delegation program remains! We've discovered new possibilities and will be posting shortly about our new plans. Ok awesome! Is there a minimum delegation amount or maybe just a post you could point me towards? I’ll probably just delegate now and then keep an eye out for the updates! Roughly speaking... you can delegate any amount to @dlux-io and a pool is split between delegators every day. The pool size will likely change in the next few days while we check our math... but currently you'd be splitting ~ 1% apy on 100,000,000 tokens between ~8K SP.